&9th Street Boat Basin used to be little more than a climber's playground. Now it's all about food. Somewhat forgotten and poorly utilized in the 70s and 80s, Riverside Park has been wonderfully transformed into a beautiful, clean and safe public tract of greenery stretching from 72nd street all the way up to 129th street, running between the West Side Highway and the Hudson River. 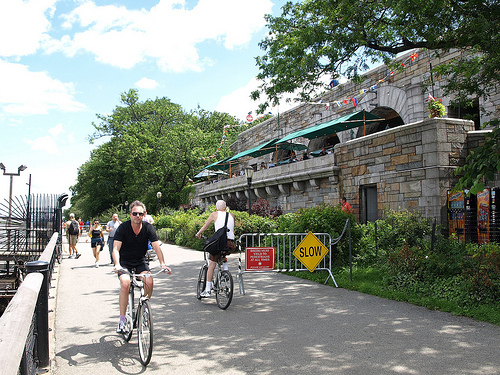 Riverside Park is the sole exception to this guide's focus on natural rock. All the climbing in this area is buildering. The exception was created because back in 1988, the southern part of Riverside Park very popular with local climbers. 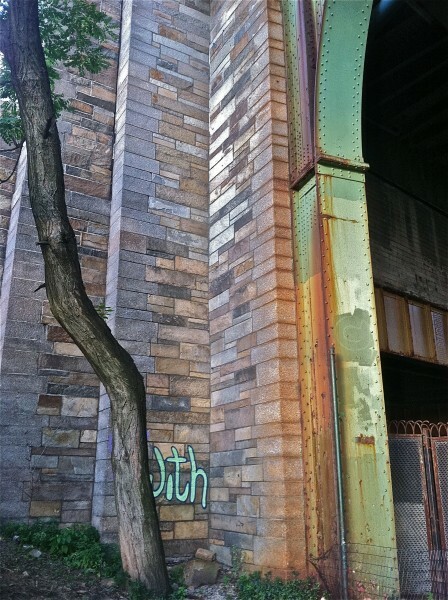 The retaining walls of the West Side Highway and the Boat Basin access roads (along with the arches of the Boat Basin) are built with great blocks of local, natural stone and provide long traverses and even some ropeless, vertical routes. The most popular wall was the curved, not-quite-vertical retaining walls on the south and north side of the 79th street Boat Basin. The north wall, in particular, held an old piton near the top as evidence of how far back climbers had been visiting the area. Of course, the structure has been renovated into the Boat Basin Café and with it, crowds of people on good weather days ... making climbing here without being noticed and remarked upon a difficult thing to accomplish. 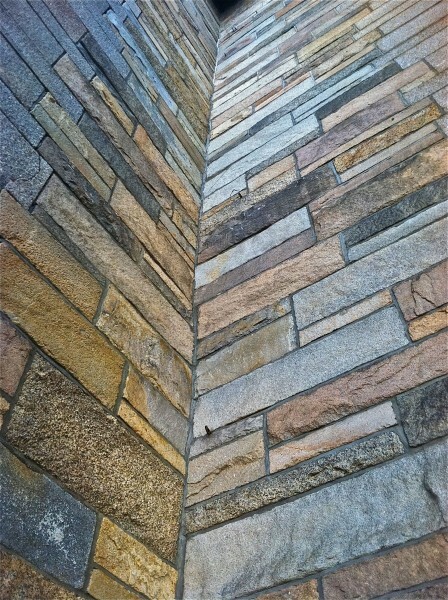 Then, starting at 72nd, the retaining walls of the West Side Highway provide endless stretches of stone to traverse on. The holds are excellent for endurance training on vertical terrain. 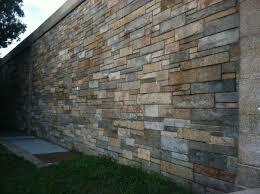 To this day, a climber can find private, shady areas along the wall for some peaceful work-outs. Walking south from the 72nd entrance, one can still find where the Highway Wall becomes elevated ... and where the ground section of the highway meets the elevated part there are some high corners built out of the same stone. To this day, one can still spot a few rusting pitons left in the Corner Route. The West Side Highway retaining wall at the 72nd street entrance remains a good work out spot. Just south of the 72nd street entrance, one can still find the old Corner Route. Rusted old pins are still in situ. Got some quickdraws?